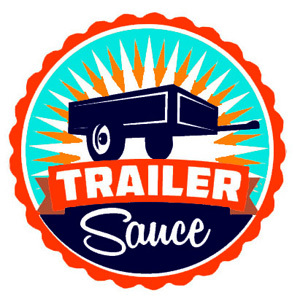 Welcome to Trailersauce, your guide for all you need to know about building a new trailer, buying a trailer or maintaining your existing trailer. Trailersauce has been set up to allow both the handyman and engineer to have access to free trailer designs and information, as well as providing general trailer information for anyone who wishes to learn more about their existing trailer, how to maintain it and how to operate it safely. I hope you find using this site, free drawings and instructions easy to follow, and any potential trailer build rewarding. 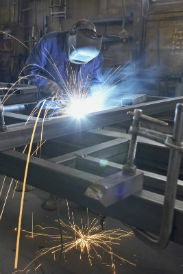 I have been engineering for over 30 years and have had many years designing and building trailers professionally. As time goes on, I will be adding more trailer plans and information, so check back often. The free trailer plans within this website are easy to understand and are set in a way that will take you step by step through the build with both instructions and easy to read drawings. All the trailer designs on this website comply with New Zealand Transport Agency requirements and are Australian ADR VSB1 compliant. These plans are infinitely adaptable to whatever end requirement you have and as long as the basic rules and your local transport laws are adhered to, you can customize each design as you wish. You will not find fancy, hard to read CAD (computer aided design) drawings or overly technical drawings on this website, as many of these drawings get bogged down in the details and can be for many (including engineers), difficult to read and visualize. Here you will find easy to read sketches and descriptions to see what things should look like and step by step instructions on how they go together in the correct order. Some of the free-plans now have a $5 downloadable version which are print friendly and ad free. If you are serious about building a trailer, this is the way to go! If you require a quotation on trailer parts and components within NZ, please feel free to contact us here with your requirements, and we will be happy to provide you with competitive pricing. We would love to see your photos of your trailer build and finished product. Also check us out at Facebook! 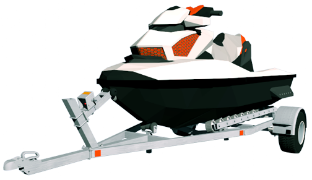 T here is something very rewarding about building your own trailer and if you have the time, equipment and the space to embark on this task, then this is an easy question to answer. Once you have your own trailer, you will find uses for it that you would never have imagined! This range includes drawings and construction guides for 4 standard utility trailers including two versions of the 6' x 4', a 7' x 4'6" and an 8' x 5' all running 14" wheels and with a Gross Vehicle Mass of 1500kg. 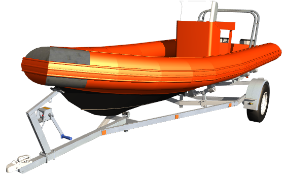 Plans are now available for building your own Tow Dolly, 4.7m Boat Trailer, PWC/Jetski Trailer and a Ground Loading Trailer! Click here to see the trailers. Currently we have an 8' x 5' tandem trailer, a 3.6 x 2.0m Flatdeck trailer - perfect for most commercial and farming requirements, and a purpose built Stock Trailer for transporting livestock. 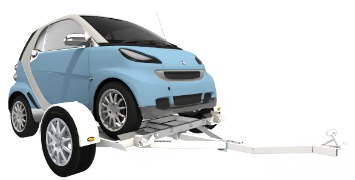 JUST ADDED - Car Transporter Trailer, perfect for your classic car, race or stock car, farm machinery or agricultural equipment! Click here to see the trailers!